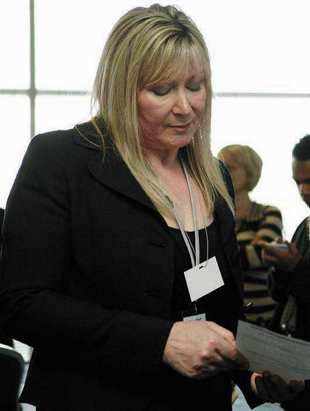 Isabella Freeman is the £121,052 a year chief legal officer at Tower Hamlets council. Her job is to protect the council’s backside. So it would be extremely illuminating if she could spare a few minutes from one of her manic days next week to explain her statement concerning a former fellow officer who was caught with his pants down moonlighting for extra money at another organisation. I refer of course to Lutfur Ali, he of Private Eye infamy and not much else. You’ll recall that he lost his job soon after Andrew Gilligan’s Channel 4 Dispatches documentary; it became clear he’d been selling his mighty intellect to another organisation while trousering the best part of £130k a year from the likes of you and me. At the time I wrote a letter to my former employers at the East London Advertiser in which I wondered whether he had received any pay off, including pay in lieu of notice period, for what appeared to be an open-and-shut case of breach of contract. “There was no pay off”: pretty emphatic stuff, I’m sure you’d agree. 2 The former Chief Executive and former Assistant Chief Executive received severance payments during 2009/10. Details have not been published in this document due to confidentiality agreements in place. What was it that Freeman told one of our councillors? Er, “there was no pay off”. I’m sure that Freeman has a copper-plated legal explanation for this. She could well argue that a severance payment is legally different from a pay off. But a councillor and the wider public to whom that politician, in good faith, communicated that statement, would understandably feel misled. I suspect that what’s happened is this: Lutfur Ali, knowing that he has been exposed yet again as a charlatan, has resigned. But he has demanded to be paid for his notice period (which I understand was three months) and any accrued holiday. And not only that, I suspect he’s managed to get that payment (probably about £30,000) treated as a severance cheque and therefore as a tax-free lump-sum. Why Freeman did not explain that to Cllr Eaton (and therefore to the taxpaying public she represents) is something only she can answer. But I doubt she’ll bother to do so, she’s like that. In the meantime, I think we now have the full, sorry picture of the Lutfur Ali scandal. I just hope any future employers are reading this. I have spoken before about the reign of terror at Tower Hamlets instituted by the then leader Lutfur Rahman. I know from speaking to council employees that no one felt their job was safe. If Rahman could sack the CE then he could sack anyone and so everybody kept their mouths shut, their heads down and their jobs. I’m sure the info should be available via a FIO request as it falls under the scope of public interest which, as far as I’m aware, takes precedence over Data Protection. Furthermore, the Taxpayers’ Alliance are pretty good at getting this sort of stuff; I’ll drop them a line. If the Labour council are so bad why did Terry Fitzpatrick support the Labour party at the last election?